Here is a quick counter top scraper and pastry cutter. 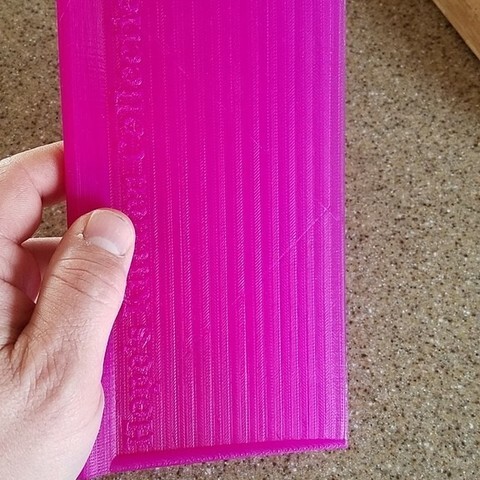 It prints in a few hours with 100% infill, but you can reduce that time by printing at 50% infill. I printed it in translucent PLA at .15 mm layer height. The top won't be smooth, it will have a graduated "stair step" effect due to the layer height. 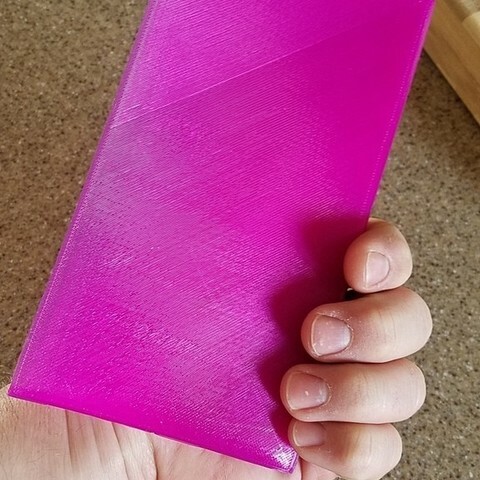 But it prints pretty sharp at the point and is quite strong. 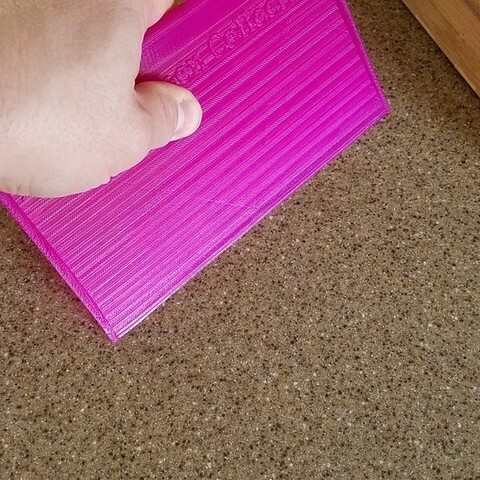 It works great as a counter top scraper, if you are making powdery desserts, to scoop the waste into the garbage. It also works as a scooper if you are chopping vegetables or something for soup. It is also handy for cutting pastry dough, or biscuit dough. Enjoy!